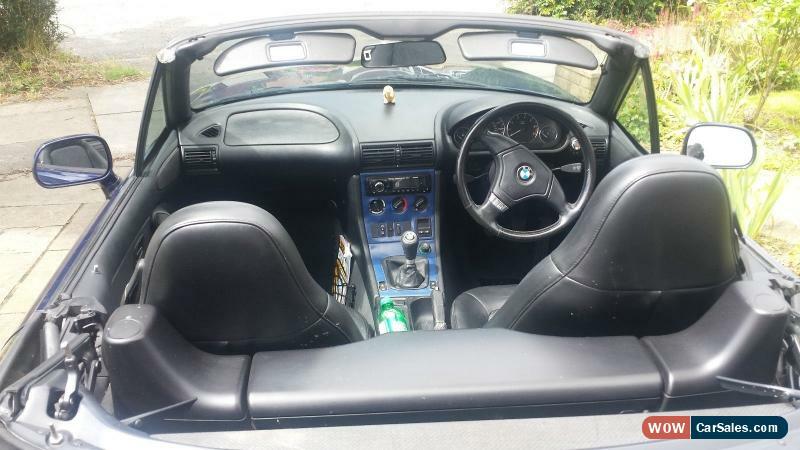 1998 BMW Z3 1.8L Manual Soft-topThis zed is my current runaround. It's 18 years old, has few caveats but is still great looking car. It looks great in some of the photos as it had just been washed but in real life it's really not quite so posh. It feels bit like an old classic car, bit shabby and worn. It has never let me down, the engine feels strong and doesn't drink much oil.I think that the wheels are either after market items or may be factory option. (225/45/17) There is some 'tram-lining' as might be expected from wide tyres but the grip is exceptional and they do look cool. The hood stitching is not great but don't think that it has deteriorated since I've had it. Very recently I've started noticing that some rain had come through so have just applied some re-waterproofing from Halfords. There are some scratches on the paintwork but can't see any dents at all.There is simple stereo radio with USB port but the aerial is not working. There are wires next to the aerial but it looks as though the connecting socket on the aerial has broken so I've just been using it with an ipod. There are the remains of hand free kit (microphones) which could possibly be re-used.The central locking and electric windows are the weak point of these zeds and the previous owner said that he had replaced the relays and can see that he has also put in an extra earth wire. The window gear and the locking gear all need lubricating as the doors can no longer be operated from the passenger keyhole and the driver's window sometimes needs more than one tap at the button to make it open.The central console has blue vinyl which needs re-mounting as it looks very shabby as it is. The hood was originally electrically operated but this has not worked during my ownership.There is dashboard warning light which comes on for the air bag. My garage didn't have the correct connector for to read the chip (they said the car was too ancient for them) and said that it is often sensor which would cause this. They also said that this would be an MOT failure as it is but if the warning light bulb is removed then it becomes an advisory.Some points to note...Approximate Mileage 116kMOT until March 14 2017Nearside mirror needs replacing fixing (see photos)No service stamp book (it came to me just with folder of receipts etc)2 keysPrivate number plate includedHand brake needs attention (it works but will not well enough to hold the car on hill and will need fixing for the next MOT)New rear tyresNew rear brake pipesOne front fog lamp has crack in the glass (see photos)Catalytic exhaust was replaced recently by previous owner (and battery)The clear perspex over the headlights has dulled with time (see photos)Electric Leather seatsElectric wing mirrorsI bought the zed in May 2016 as live overseas during the early part of the year and buy runaround each time come back. 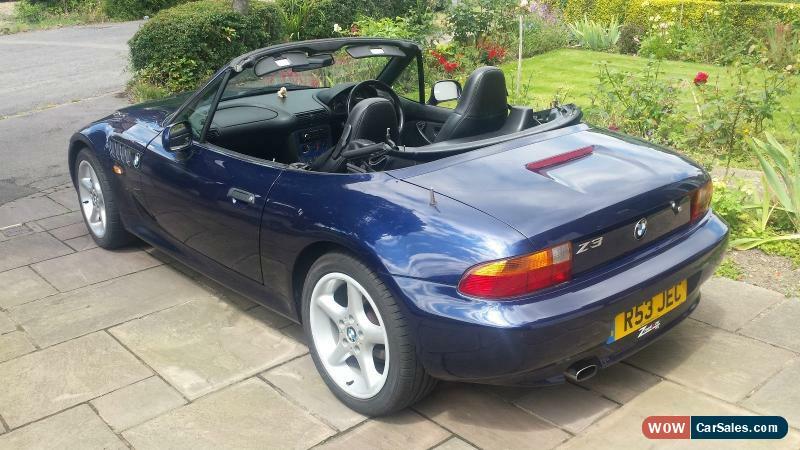 This zed needs some love and attention (a full service for start) but might be bargain for someone wanting cheap German sports car, someone who likes to tinker and has time to sort out the niggles. paid 1,600 for it in May and spent another 300 with my local garage making it good for the year. 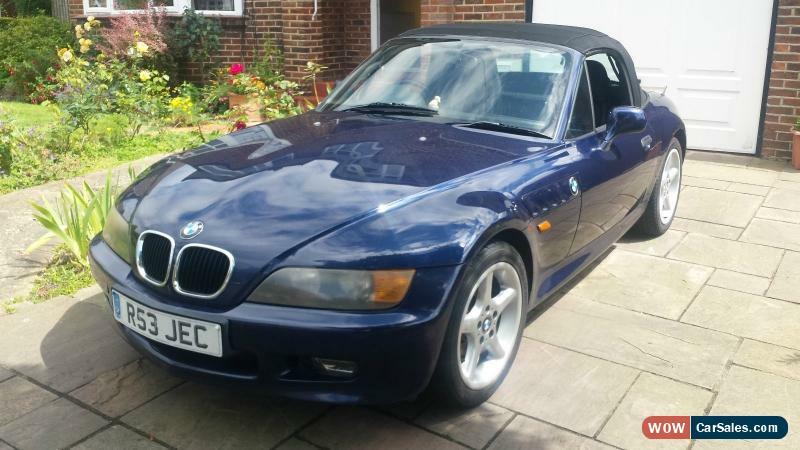 It's been very reliable and has never let me down.If you understand the caveats (I've been very forthcoming) and understand that you are bidding to buy (not kick tyres or negotiate) very old car with list of jobs to do please bid. If you'd like to drive it you will need proof of comprehensive insurance. This weekend will be driving it from North Devon to Leeds and then should arrive in Ewell Village (Surrey) on Tuesday January 10th so collection would be in Surrey Wednesday 11th or Thursday 12th.More photos http://barkshire.co.uk/misc/BMWz31998No doubt I'll be asked 'how much mister?'. Tell me what you think it's worth if you like.